All photos by Rob Baas. 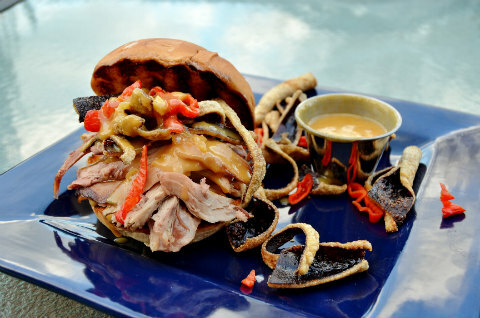 First he gave us the “McRob” (a real boneless barbecued rib sandwich). Then his unique twist on the onion bomb (hint: it involves both onions and bell peppers). BBQ U alum, Project Smoke grill wrangler, and recipe tester extraordinaire Rob Baas is always up for a challenge. 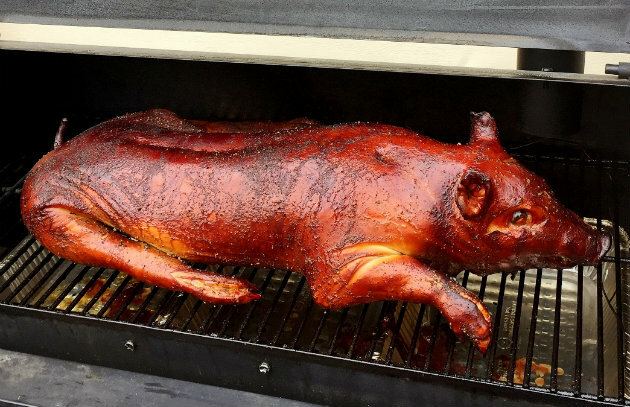 So in honor of the holidays, we asked him to smoke a whole suckling pig. (Said pig recipe will appear in my forthcoming Project Smoke book, due out in May 2016.) Looking for a dish to blast your holiday party into the stratosphere? 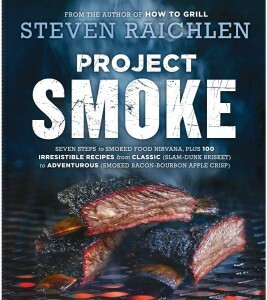 Fire up your smoker and read on. Anytime Steven asks if I’m up for testing a recipe, the answer is always “Yes, of course!” And it’s always exciting because the project’s bound to be something fun and tasty. This time, it was also intimidating. A suckling pig? Uncharted territory for me. 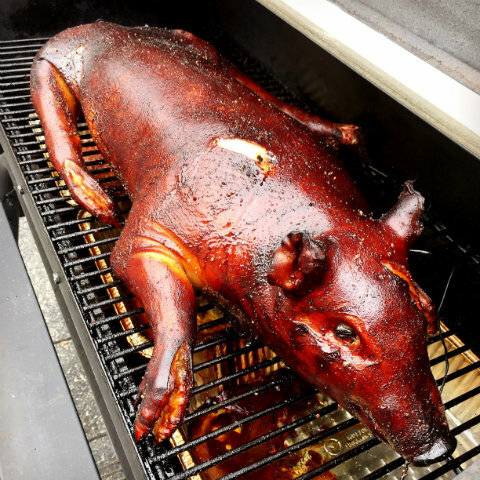 I’ve been to pig roasts, but I’ve never roasted the pig. 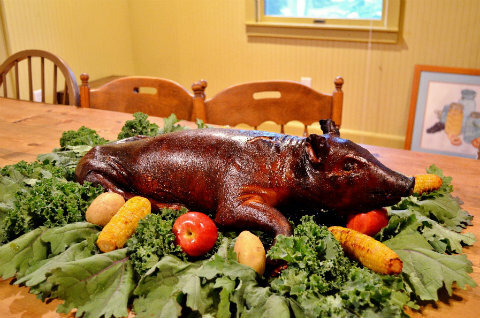 And I’ve never seen a whole pig displayed on the table as the centerpiece of a festive meal. The first challenge was finding a pig. After calling the folks at Rian’s Fatted Calf Meat Shoppe in Bowling Green (near my ol’ Kentucky home) on a Tuesday and asking for a 20-pound suckling pig, Rian lugged a 19.86 pounder out to my Jeep on Friday. That was easier than expected! Sourced from a Western Kentucky farm, it was right on time and exactly the size Steven wanted. 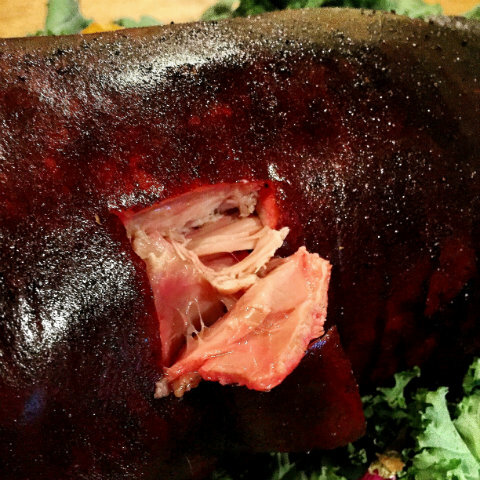 (It’s worth noting that a 20-pound pig might be too large for a normal tailgating cooler. I learned that the hard way.) 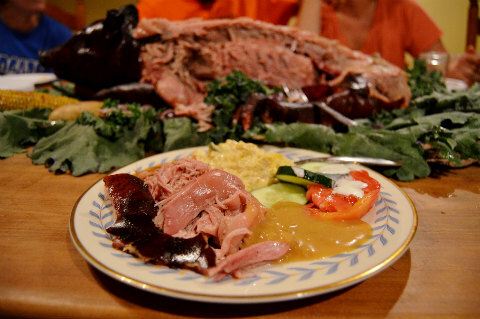 This pig was large enough to serve 12 to 15 people. The next challenge was figuring out what kind of smoker to use. At 28 inches long, the pig was too big for my Weber Smokey Mountain or Pit Barrel Cooker. Fortunately, I recently purchased a used offset smoker and the pig fit, but just barely. This particular smoker needs some babysitting, but I was counting on help from my “assistant,” an iGrill2. The third challenge was hiding the beast from my wife. The sight of a whole pig readied for live fire cooking can offend the sensibilities of some people. Even people who otherwise love barbecue. I guess it’s important to know whom you’re cooking for, so I made the strategic decision to prepare this meal at my house, but serve it at a friend’s home, a CSA farmer who lives nearby on the whimsically named “Need More Acres Farm.” He and his family and guests were eagerly looking forward to a feast featuring a whole smoked suckling pig. It’s an event even before anyone lifts a fork! Salt and pepper. Following Steven’s instructions, I did not stuff the cavity with herbs or vegetables or other porcine parts (like loins or tenderloins), I didn’t inject, and I didn’t use a barbecue rub. 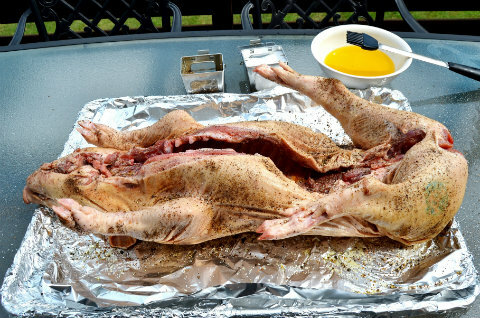 I simply brushed the pig with extra virgin olive oil inside and out and sprinkled it liberally with coarse sea salt and cracked black peppercorns. I did rinse the pig and dry it with paper towels before oiling and seasoning. Skin. If you’re a fan of crackling crisp skin, know that smoking the pig from start to finish won’t produce it. The temperature isn’t high enough to render the fat. And to be honest, an additional 20 minutes at 350 degrees didn’t do the trick, either. However, you can always remove the skin and deep fry it for incredible chicharones (fried pork rinds). Bottom line? The results were spectacular! This was one of those meals that no one in attendance will ever forget. You’ll forever be a rock star if you pull this off for family and friends. The table has never looked and smelled so good, guaranteed. I’m not sure who enjoyed it most—the kids or the adults. And the best part is that it’s really quite easy. Keep an eye on your smoker temp and the rest almost takes care of itself. The next challenge—how to serve: Just remove the skin and serve the meat like pulled pork using forks or fingers. That works for the whole pig, all the way from the shoulders to the hams.